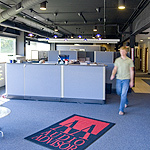 At Audio Advisor, Inc. we are very concerned about protecting and preserving our world. When we purchased our new building in 2005, we took steps to reduce the negative impact that our business might have on the environment. These steps included planning and design features as well as the use of new energy-saving technologies. Before we moved into our new building, we studied the physical layout and all the systems that used energy in the building and in our business operation. Then we calculated the steps we could take to save energy and reuse materials. The first thing we recognized was that the old offices had to go. They were dank, dark, and cold. We ripped out the old offices, recycling as much material as we could. Starting with a clean slate we designed an office area that would be more spacious, more open, and healthier for our employees and the environment. We also found ways to conserve energy in the warehouse, reduce the use of new materials in our shipping department, and minimize the environmental impact of our catalog production. For a closer look at our conservation initiatives, please see the details below. We removed the majority of existing office walls in our building. We replaced them with an 'open office' panel system in the sales, customer service, and IT areas, enhancing the flow of natural light and reducing the use of artificial lighting. 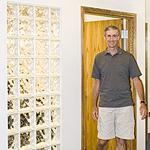 In the executive offices, which require more privacy, using glass-block in the office walls allows natural light to enter these rooms. We use special energy-conserving window blinds in our offices. They help retain building heat during the winter and help to keep heat out during the summer months. 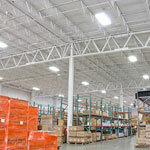 We replaced existing overhead lighting with energy-efficient fluorescent lamps with electronic ballasts. These lights typically consume 50 percent less energy than comparable incandescent lighting. Area spot ceiling lights were replaced with CFL (compact fluorescent) lighting, which uses about 75 percent less power than incandescent bulbs. 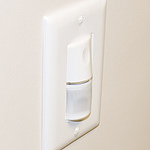 In the private offices, restrooms, conference room, and other areas, we replaced all light switches with infrared 'occupancy sensing' wall switches that automatically turn off the lights after the last person leaves the room. We completely replaced the 400-watt metal halide warehouse ceiling lights with energy efficient 168-watt daylight fluorescent fixtures. 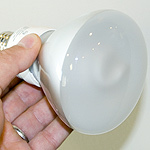 These new fixtures provide more even illumination while using significantly less energy. 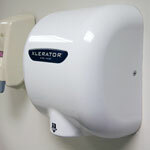 Instead of paper towels, we now use the Xelerator hand dryer, which uses 80% less energy than conventional hand dryers. And it doesn't waste any paper! Before we moved into our new building, our former heating and cooling contractor told us we would have to replace our office air conditioning unit with one that was 50 percent larger. We proved him wrong. With our new office design, we kept the existing cooling unit, yet are able to maintain a comfortable temperature even during the hot summer months. We helped accomplish this by moving the private offices away from the east windows, tinting the windows to reduce our air conditioning needs, and using an 'open office' panel system that maximizes airflow. This approach made it easier to heat and cools these rooms, reducing our office energy consumption by more than 30 percent. By taking the following three measures, we reduced our warehouse energy consumption by more than 33 percent compared to amount of energy consumed by the previous tenant. First, we double-insulated the east, southeast, and northeast walls with bats of 6"-thick fiberglass insulation. Then we covered them with a fire-resistant drywall board. This dramatically reduced our heat-loss in the warehouse. Second, we contracted with a heating contractor to inspect our warehouse heating and cooling units twice a year to make sure they were working optimally. Two units required updating. We replaced one unit with a newer, higher-efficiency model. Third, we installed "set-back" thermostats which keep the warehouse at 62-degrees during a winter work day and drop it to 48-degrees in the evening and weekends. We experimented with various temperatures and found that these levels satisfy warehouse employees, while reducing our energy use. Materials used for shipping the products that we sell can represent enormous waste, and we have taken significant steps towards a far 'greener' approach. Because of our concerns about the environmental costs associated with the oil-based, nondegradable polystyrene peanuts, we stopped buying them 25 years ago. Recycling is the option of choice, so we reuse the peanuts we receive from vendors to repack certain items. We also reuse other packaging supplies we receive from vendors, including bubble-pack and foam inserts. When additional packaging is required, we use heavy recycled paper sheets. We tested many other products, but found that this solution strikes the best balance between being environmentally friendly and cost-effective, while making sure the products ship safely in their boxes. We reuse most of the boxes that we receive from vendors. Those which we cannot reuse, we recycle. According to the National Geographic "Green Guide," a ton of recycled paper saves 3,000 to 4,000 kilowatt hours of electricity compared with producing a ton of virgin-fiber paper. 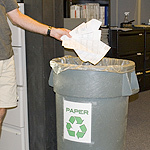 We also recycle our office paper. We fill up a four-yard paper/cardboard recycle bin every ten days. We specify only recycled cardboard in the shipping cartons that we buy. We changed our box color from white to brown to avoid the use of chlorine bleach in making our boxes. 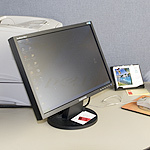 Our employees conserve energy by switching off their computers when they are not in use. This is an easy way of reducing electricity use, as was replacing our old computer CRT monitors with highly efficient LCD displays that consume 70 percent less energy. A far more ambitious approach to conservation was shutting down our internal computer server network and moving our business applications offsite. Although this move was expensive, requiring us to re-engineer our computer applications, the change is now saving us hundreds of dollars a month by cutting IT-room cooling costs. We are also saving energy by running our applications on more efficient blade servers rather than our former 'big' server units. Groups that want to do away with paper catalogs propose that all promotionalmaterial should be delivered electronically rather than by mail. In reality paper catalogs have a much lower environmental impact than these groups claim. 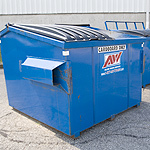 Catalogs comprise less than 0.04 percent of all landfill deposits and they are 100 percent biodegradable. We enthusiastically embrace the 'electronic catalog' concept, since it would save us over a million dollars annually in catalog costs, and we do in fact, deliver many of our promotions exclusively via email. However, our customers tell us that they love to receive our catalogs in the mail, and many of our sales are made via these print pieces. Our challenge is preserving our successful business model, while at the same time minimizing our catalog's impact on the environment. This is what we have done. Our first step in 'greening' our catalog is by mailing it only to people who want it. We maintain and constantly update a list of people who do not want to receive our catalog. We have also hired an agency that specializes in "cleaning" our list to ensure that each and every catalog goes to someone who has expressed interest in receiving a catalog like ours. This agency purges any names registered on the national "do not mail catalogs" lists. We have also found ways to print our catalogs that lessen their environmental impact. The company which prints our catalogs uses only water-soluble "earth-friendly" inks. Our catalog paper comes from sustainable forests in Maine. This paper offers a balance of recycled paper content without the excessive use of chlorine dye to whiten the recycled-content paper. Finally, we recycle our leftover catalogs.